Sculpture has fascinated me since I was a small child. When my mother enrolled me into a pottery class I came home with small animals modelled from clay. When I walk into a room or walk down a street or through a park my eyes are immediately drawn to interestingly shaped objects. Whether they are formed by nature, machine or by an artist's hands the mystery and power of the object continues to attract and challenge me to unlock it's secrets. What is it about some objects that almost demand attention? It is not expert craftsmanship and attention to detail. These aspects of course have their value but it is something less defined and less tangible that creates real presence and mystery in an object. Some ancient carvings from the dawn of civilization have such powerful energy that the viewer cannot ignore. This energy can also be seen occasionally in a work by an untrained artist with basic equipment. I chase this intangible quality in my work. 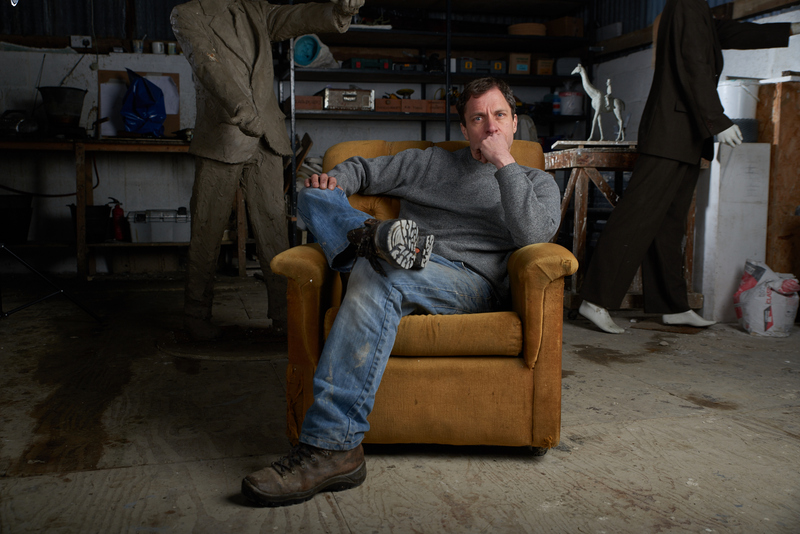 I have studied art, anatomy, proportion and bronze casting techniques in Australia and Europe and can create a perfectly modelled figure in bronze but it may be completely lacking in the energy and virtues that I want to project. I have come to realize that qualities such as empathy, subtlety and a desire by the artist to connect to the viewer are more important. Of course I believe in self expression of the artist but it is a largely egotistical exercise if the viewer is not involved in the dialogue. I try to engage and connect to the viewer by offering a perspective and posing a question through my sculpture. I left Australia in 1998 to see the world and to further my career as the opportunities were somewhat limited in Queensland at the time. I also wanted to see first hand the European sculpture I had only seen in books. I landed in London on a rainy Sunday morning and travelled to the North of England and by Tuesday I had a job as an assistant to a sculptor who had his own foundry. I also got work at the Henry Moore Sculpture Foundation where I would talk to the visitors about the exhibitions of modern sculpture. After a few months I travelled to Italy and met the great Igor Mitorij in his studio in Pietra Santa which is where Michellangelo used to quarry marble for his sculptures. I met many artists and visited numerous museums. I travelled to Florence, Paris, Dresden and saw works by Bernini, Rodin, Manzu all the while sketching as I went. I returned to London with no money and luckily landed a job in a large fine art foundry. I had no where to live so the owner kindly let me stay in a small room in the foundry. I began to exhibit in London but then met a lovely Irish lady and moved to Ireland. I have set up a studio a fully equipped foundry in the West of Ireland. The experience of working for artist's, travelling and bronze casting has given me an invaluable insight that now allows me to produce my sculpture from start to finish. Titanic Memorial, Addergoole, Mayo 2012. Governor John Downey, California, USA, 2010.